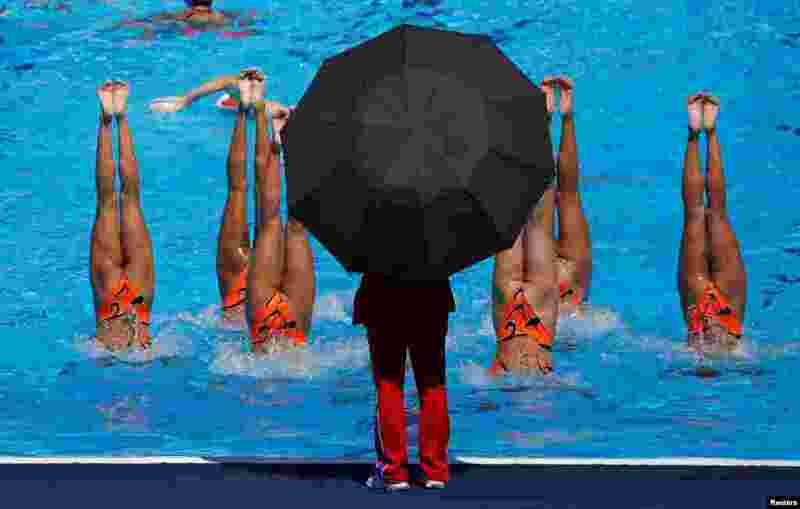 1 Team North Korea practice under coach supervision during Synchro – 17th FINA World Aquatics Championships in Budapest, Hungary. 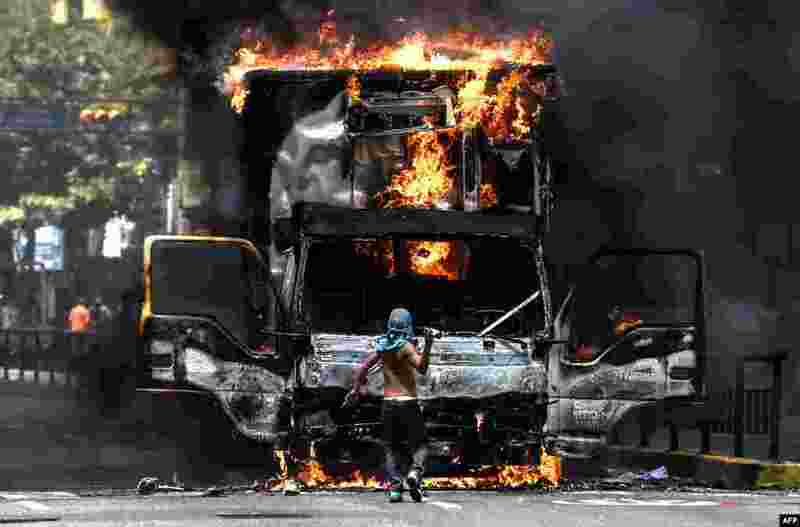 2 A truck set ablaze by opposition activists blocking an avenue during a protest burns in Caracas, Venezuela. 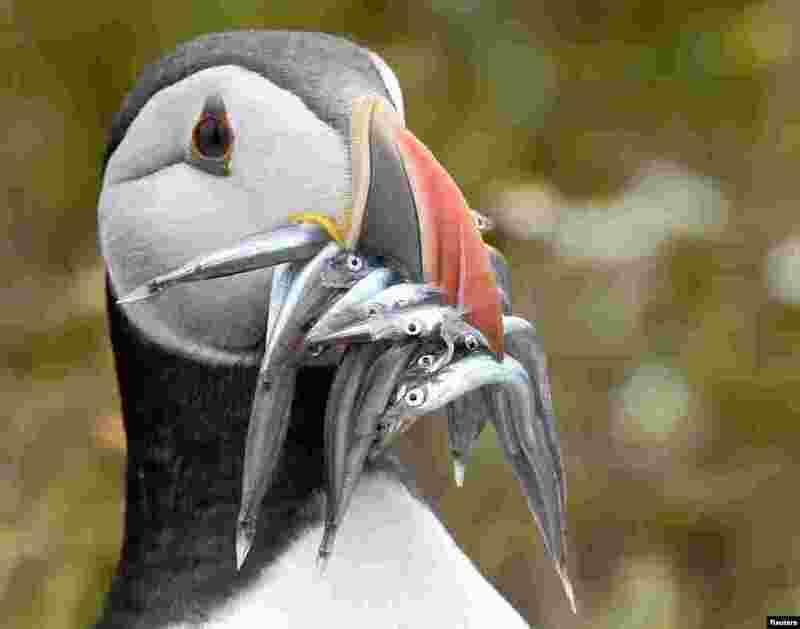 3 An Atlantic Puffin holds a mouthful of sand eels on the island of Skomer, off the coast of Pembrokeshire, Wales. 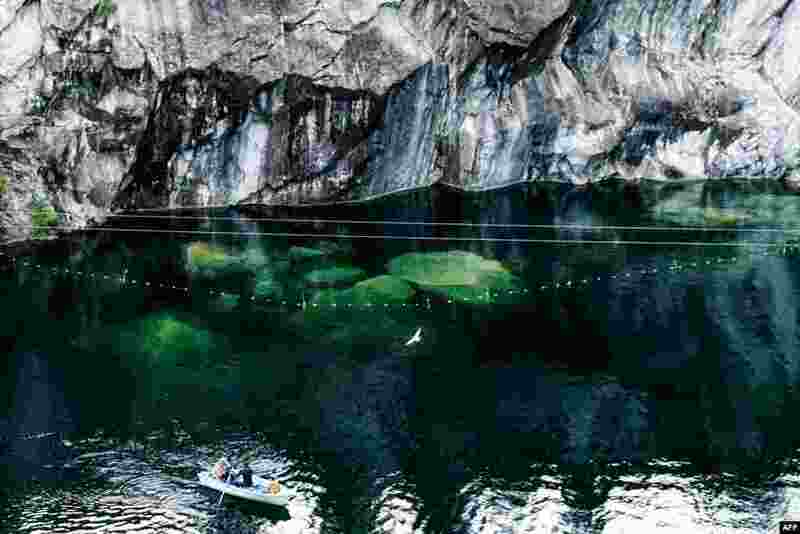 4 People sit in a boat floating in a marble quarry close to village of Ruskeala, republic of Karelia.